There are plenty of positive things to say about pressure-assisted toilets. Their brawny flushing action is water-efficient, helps keep the bowl clean and virtually eliminates clogs. But that high-octane power comes with a price: some pressure-assisted toilets sound like jet engines as they forcefully perform their job. Fortunately, technology continues to improve as manufacturers tinker with noise control solutions. Some folks rail against anything that's merely ordinary, and that can include the hum-drum appearance of the average toilet. But before you plunk down your hard-earned cash for a chill European model with a custom seat and unusual innards, think about the cost of replacing those parts when they wear out—and they will. Your bathroom remodeling budget will be better spent on a high-quality showerhead or fancy bath towels. A toilet lid that bangs closed like a brick is one of those small annoyances that can loom large when it's the middle of the night or there are little ones around. Look for a toilet with a slow-drop seat that closes gradually, sparing your ears as well as tiny fingers. Some slow-close seats are also removable, which makes cleaning a snap. Remember harvest gold and avocado green? These hues were ubiquitous in American kitchens and baths in the 1970s, until their appeal eventually wore thin. The same holds true for today's crop of colored toilets. What feels fresh to you now will likely seem dated in five or ten years and could even make your home harder to sell. It's best to buy white or bisque fixtures that never go out of style. Pull out your measuring tape before you switch from a standard round toilet to one with an elongated bowl. While many people appreciate their comfort, elongated models can eat up two extra inches of space in your bathroom, potentially blocking drawers, cabinets or the door. Just as beauty is in the eyes of the beholder, one person's tacky toilet seat may be another's objet d'art. But there are some toilet seats that everyone knows are just plain ugly. Please don't buy one of those, not even for laughs. Today's so-called "comfort height" or "right height" toilets feature bowls that are 17 to 19 inches high, as compared to the standard 15 inches of a regular toilet. The higher bowl height can be good for the knees and back and can offer real advantages to taller folks, the elderly and people with mobility problems. But comfort height isn't comfortable for everyone. Some health experts claim that the chair-like posture inhibits natural functioning. And if you're short or there are small children in your household, a right-height toilet may not be your best bet. It's a good idea to sit on the model you're considering before you buy it to make sure it suits your needs. Yes, it's possible to buy a toilet for less than $100. But since you'll probably live with it for years, the money you save now won't mean much later when inferior parts and workmanship—not to mention weak flushing capability—cause all sorts of headaches. A sweating toilet tank is messy and unsightly. 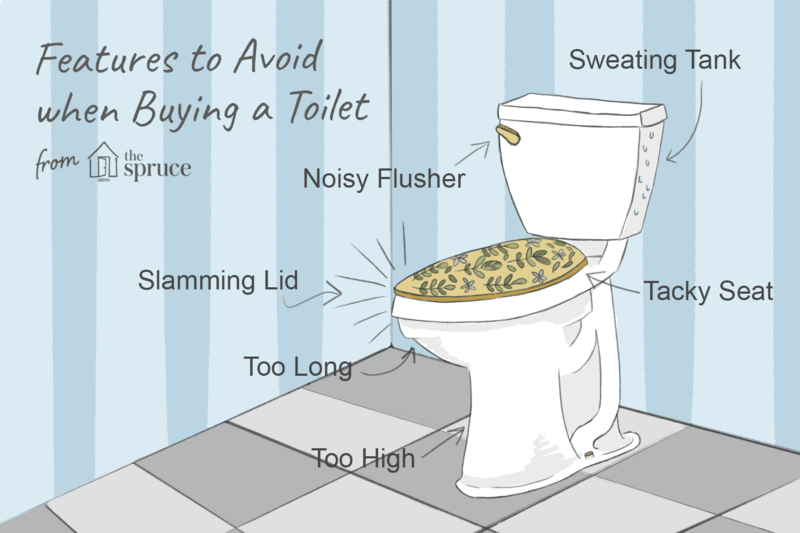 You can avoid the problem by purchasing a pressure-assisted toilet. These models hold water within an inner tank, which keeps dampness away from the exterior. Some gravity toilets also feature insulated tanks, although these models cost a bit more. 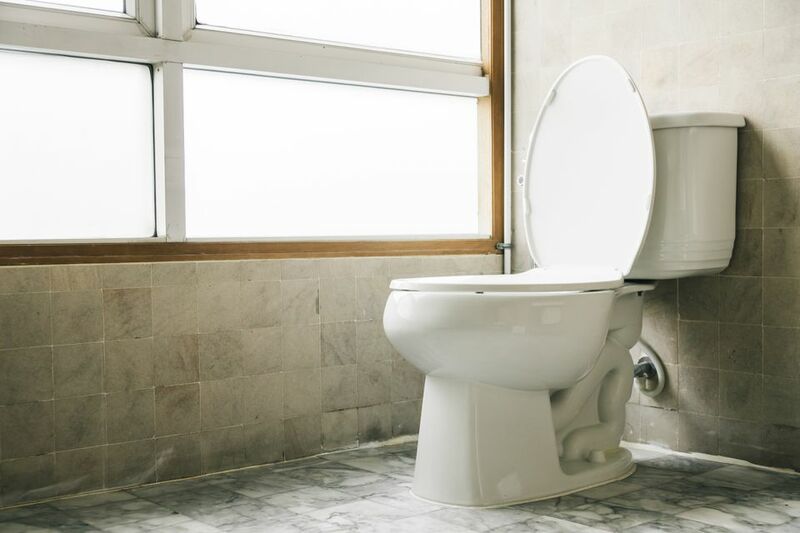 Because they feature a separate bowl and tank, traditional two-piece toilets often have all sorts of nooks and crannies that can be a pain to keep clean. If you really hate this household chore, consider spending more for a sleek one-piece model. Some toilet manufacturers offer a special surface finish that inhibits mold and bacteria. And if you're battling both grime and a lack of space, a wall-mounted toilet can be a genius (though expensive) solution. Wasting water is definitely not cool. A water-conserving, low-flow toilet, will help maintain those critical water reserves, especially as droughts become more and more common in certain parts of the world. Hopefully, there's the perfect toilet out there for you. Avoiding these 11 features will definitely go a long way towards long-term satisfaction on the throne! Does Your Bathroom Need a Bidet?